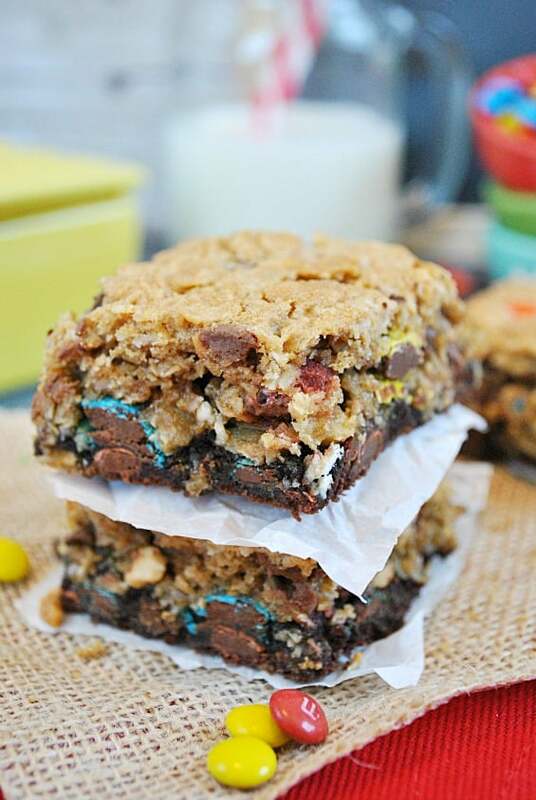 These Monster Cookie Brookies combine two of our favorite desserts: Monster Cookies and Brownies. This recipe is simple and delicious, and we’ll be making it many, many more times in our home! If you’ve been reading my blog since last year (thank you! ), you know that I LOVE a good Monster Cookie. And because I love it so much, I’ve really been wanting to re-photograph my classic Monster Cookie recipe for a while. I finally got around to it this week, and they’ve really been stuck in my brain ever since! 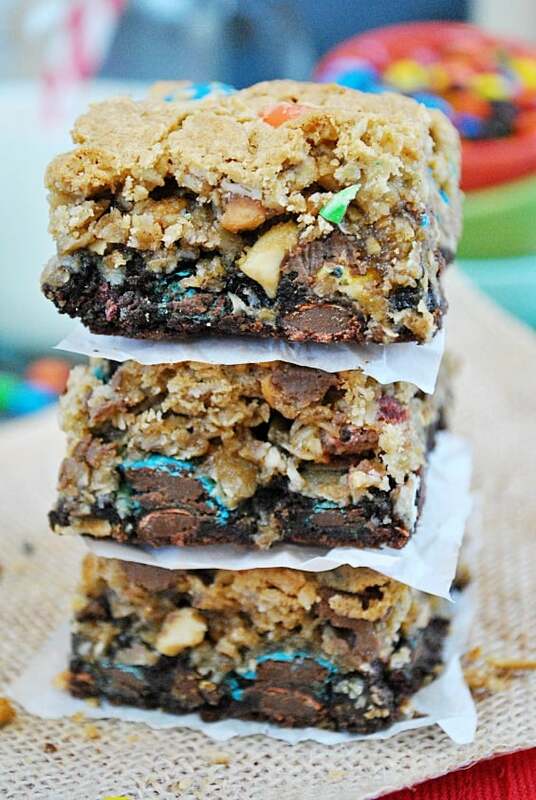 I only just posted Monster Cookie Muffins a couple of days ago, but I’m hoping it’s not to soon for you to unveil another monster cookie recipe: these Monster Cookie Brookies. 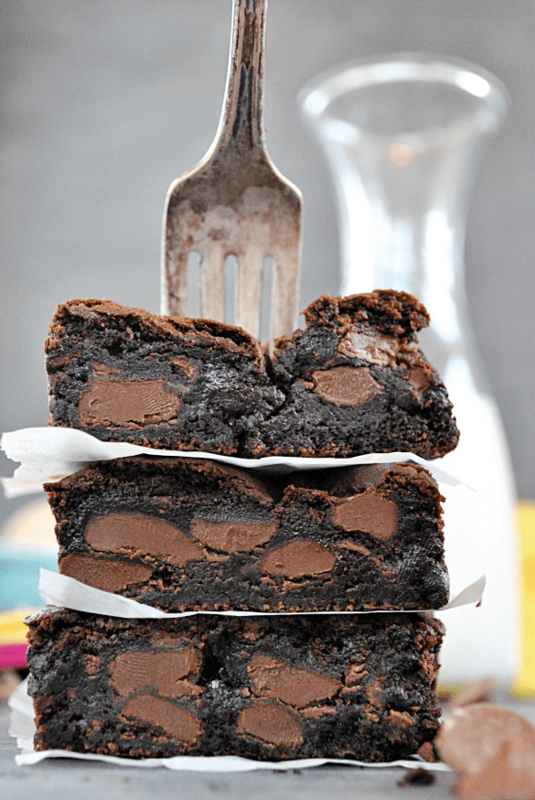 Brookies: a combination of a cookie and a brownie. They’re pretty amazing. And super simple! Really, you could make any variation of a brookie that you could dream up. Simply start with the Fudgey Chocolate Chunk Brownie base, and top it with the cookie dough of your choice (White Chocolate Pretzel Snickerdoodle? Chocolate Chip Pudding Cookies? Maybe these Fluffer Nutter Oatmeal Cookies?). Bake it up, cut into bars, and voila! A fancy-shmancy (but not really) and totally decadent dessert bar! Here’s the most impressive part about this recipe for me: Chris said these brookies have been his favorite dessert “in a while.” Keep in mind– I make 7-10 desserts every week. “In a while” covers quite a bit of dessert in this house! Chris’s stamp of approval is a pretty big deal for me. These days, it seems like he can’t tell the difference between one sugary item and the next. For anything to stand out to him, much less to actually be worth mentioning to me… well, you know it’s good. And I have to agree with him, these are a new favorite of mine too! They are so, so good. Totally an ultimate comfort food– it’s a recipe I can’t wait to go back to again and again. Preheat oven to 350 degrees F. Line a 9x13 baking dish with TIN FOIL and spray with non cooking spray. Allow at least an extra inch of foil along the sides to fold over the edges towards the end of baking (the edges brown much more quickly than the center will bake). Once the batter forms, scrape it into the prepared dish and spread evenly (it will be thin, and don't stress if it doesn't spread all the way to the edges-- the monster cookie dough will add extra thickness to the bars). 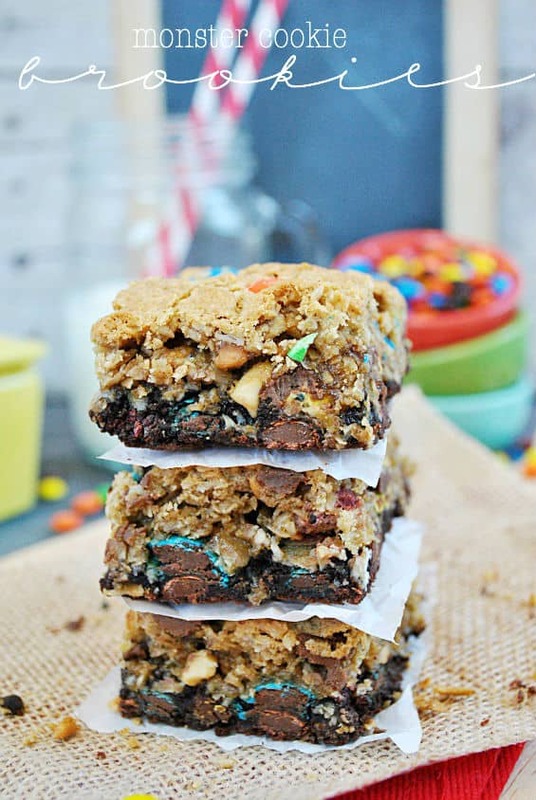 Spread the Monster Cookie dough over the brownie batter layer. Bake for 35-45 minutes, until a toothpick inserted comes out pretty clean, the edges are golden brown, and the middle seems pretty set (I still had a LITTLE chocolate batter on my toothpick, and the middle still moved just a bit). Also note: at about the 25 minute mark, I folded over the edges of the tin foil around the crust of the bars to prevent burning. Let cool, and cut into squares for serving. I've adjusted the monster cookie recipe to make as small of a batch as possible (the original recipe is HUUUUUGE), but you still only need about half of the dough for this Brookie recipe. I placed the remaining dough in a ziplock bag in my freezer, where it'll be waiting for me the next time I have a craving for cookies! Next Post » Win a $500 Amazon Gift Card! 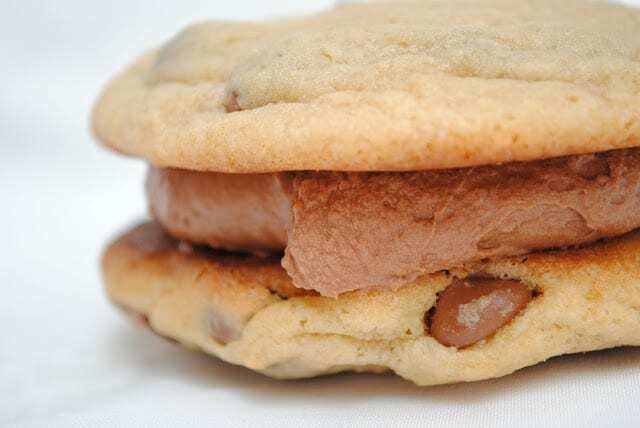 They look insanely good and are combining two treats in one – how could I say no! 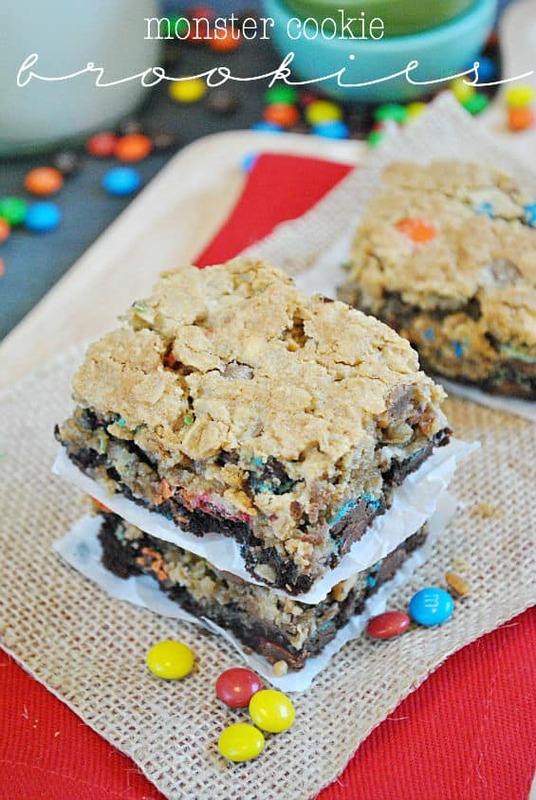 My Wed post is actually Monster Cookie Bars. I’ve had it in my drafts for awhile but was trying to dole out the sugar overload of my posts in spurts :) I would love one of your MCB’s! Oh my word, i need this in my life!!!!! I need to get in on this brookie trend! Cookies+ Brownies = love. Mmmm I could really go for about 10 of these right now! haha! I LOVE that you made these with Monster Cookies. They look amazing! Sounds delicious! I love all the texture going on in these. 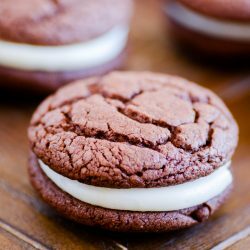 If the hubs likes them that much, then they are a must make!! They sound amazing. Thanks for the recipe! I can’t wait to try these! 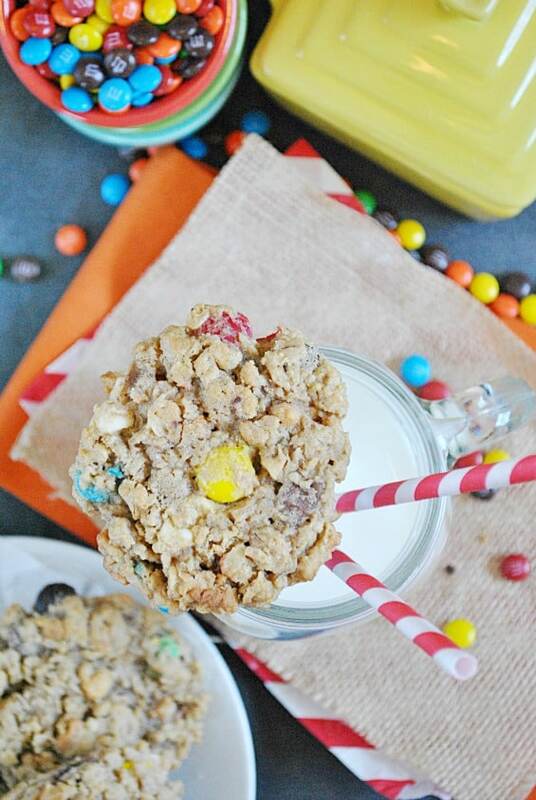 I will never, ever, ever be sick of monster cookie recipes. Keep em coming! And also, I’m so glad my hubby’s not the only one stuck in a dessert fog. I have to take desserts elsewhere to get a true taste test reaction from people! I love me a good brookie–that being said, I’ve never actually *had* one, but I’ll be turning on my oven for this one soon. Thanks a bunch! I have got to try these soon. I’m sure it is a match made in heaven. 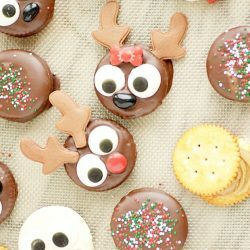 They look so most and delicious! I love all the different layers and textures! yummy! These look SO good!! I need an excuse to make them ASAP. Or maybe an excuse is not needed…??? This is like one of the best ideas ever! Combining two of my favorites! Oh my, these look full of wonderful tasty things. Subscribing to your blog, it’s great! I don’t know whether to hate you or love you for these! Nah, just kidding, they are genius!